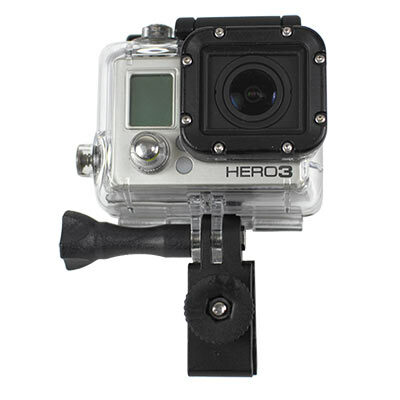 Now you can mount your Go Pro camera to the MAKO Spearguns Catalina Low Volume Freedive Mask as well as many other brands of framed diving masks. NOTE: Diving mask must have a frame that is separate from the skirt. NOTE: This Go Pro mounting bracket does not work on the Minimus or El Bajo Low Volume Freedive Masks because they are “frameless masks”. It does, however, work well with the Catalina low volume freedive mask because has a frame that is separate from the silicone skirt. The product is great quality, very sturdy but doesn't fit on my liquid skin scuba mask. The clamp touches the lens and I fear it I tighten it, it will damage the glass. 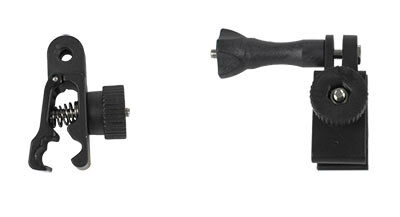 This gopro clamp expands to fit pretty much any mask. It worked great on the last 5 dives I have taken it on and I'm sure it will work for a long time! The gopro mount is excellent, worked well with most masks. The only thing is I would emphasize that this mount will not work on "Frameless" masks. I was using a Cressi frameless mask for most of my outings so I couldn't use it, but when I did want to gopro, i switched masks to one that had a frame on it. The mount itself is a very good, solid product. haven't used it yet, but it seems solid and it fits my Omer low volume freedive mask.